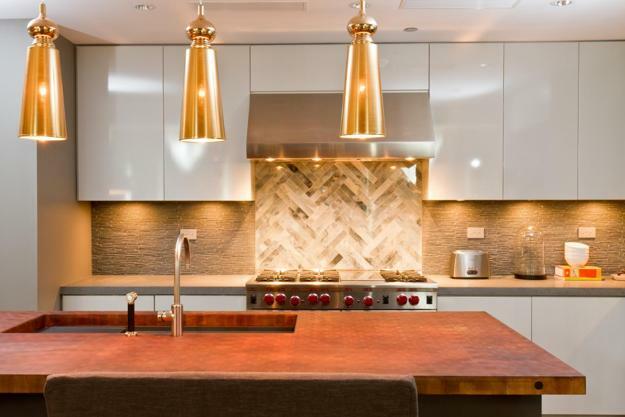 Warm metal accents are easy to incorporate into modern kitchen designs. 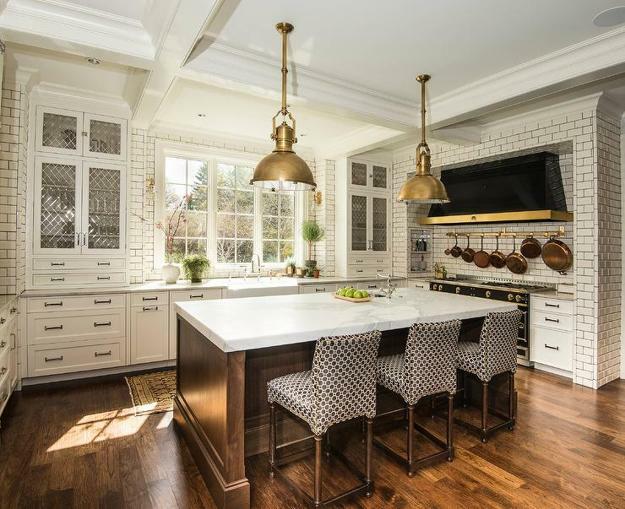 Metal lamps, hardware, metal tiles, elements of kitchen designs will make your kitchen interior look luxurious. 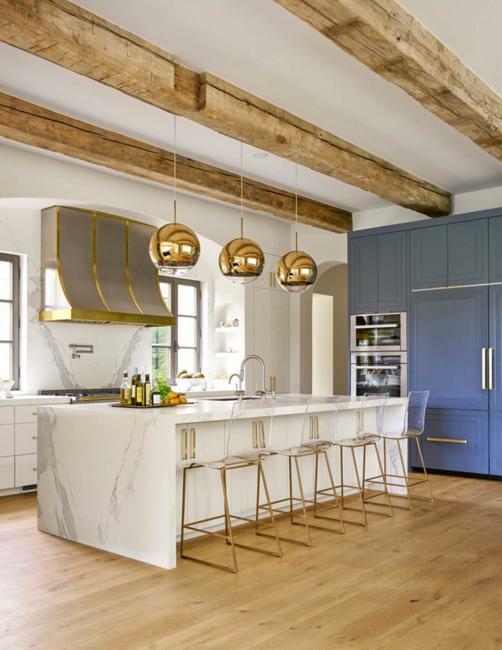 Reclaimed wood, colored quartz countertops, and hand-painted designs can add chic details to your kitchen, but warm metal accents are the stylish and versatile ideas that everyone appreciates. 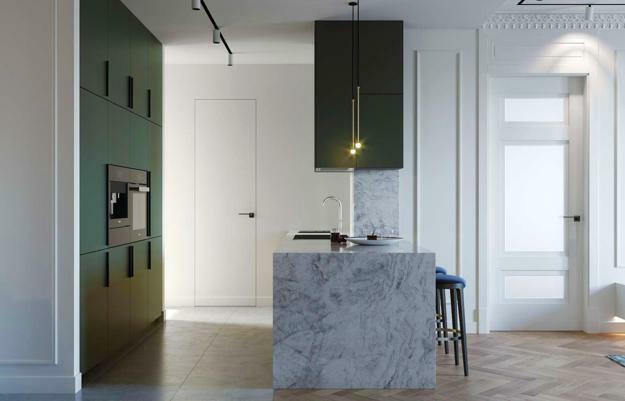 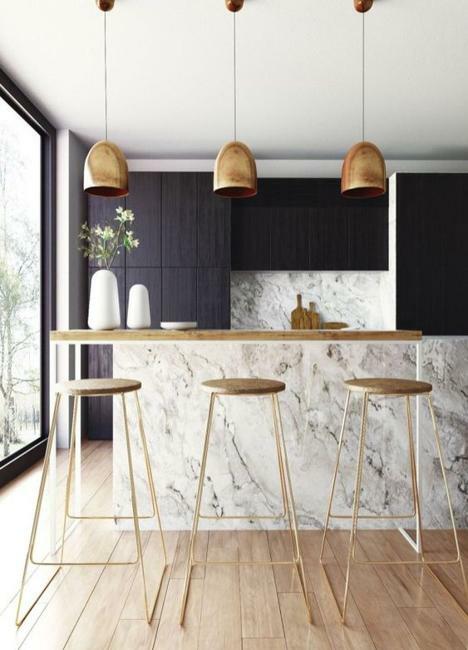 You can get a luxury kitchen design without spending all your money on expensive materials. 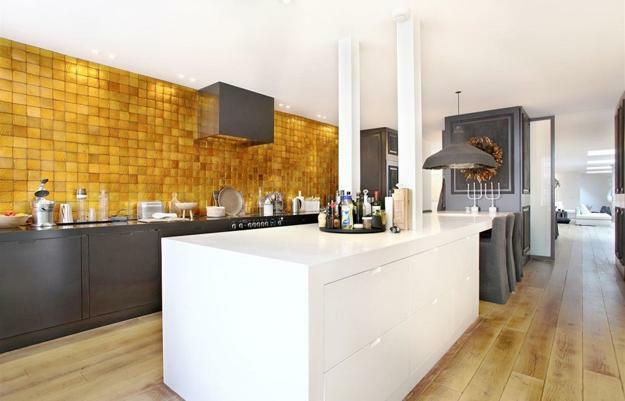 Bronze and golden colors and finishes are excellent ideas for giving a luxurious look to modern kitchen interiors. 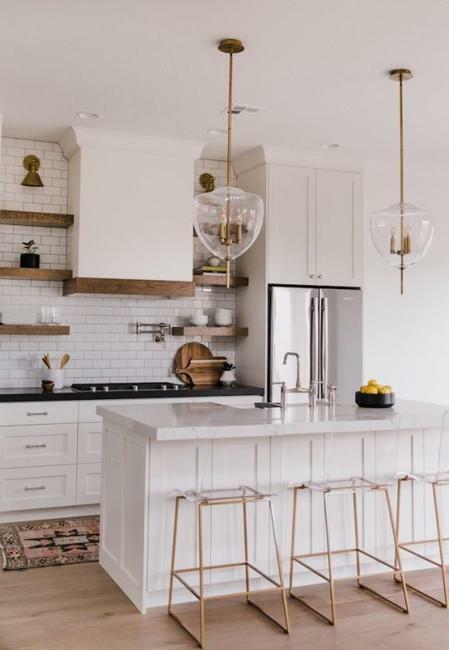 If you have a small kitchen, you may want to consider one large item or a few little accents in bronze or golden colors. 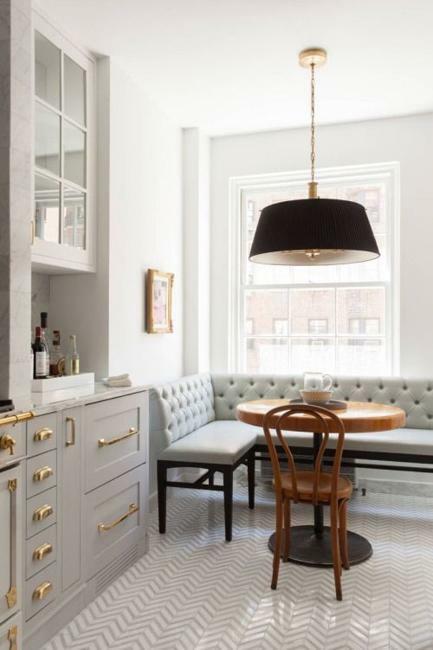 Spacious kitchen interiors can have huge lamps and spectacular metal elements that emphasize chic kitchen designs. 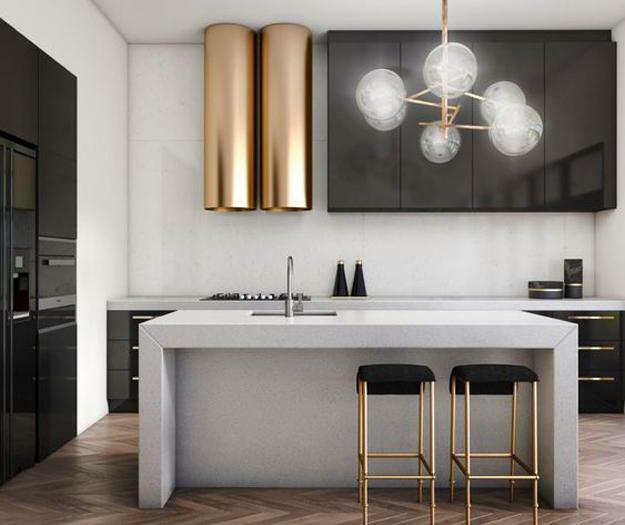 The size and style of accent pieces need to compliment the interior and create an attractive mix with large and small kitchen appliances. 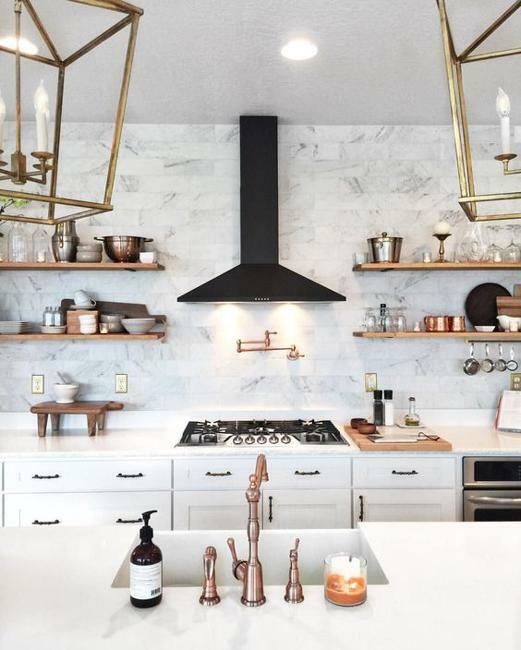 A kitchen island or a hood, wall tiles or kitchen lighting make beautiful accents that can emphasize your luxury kitchen design. 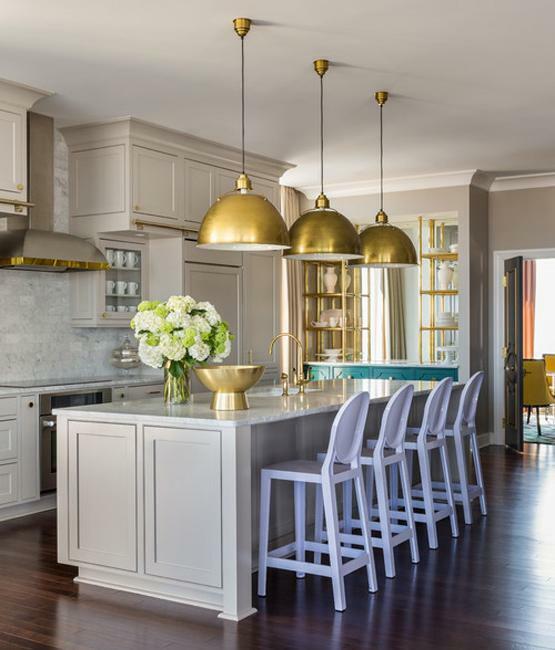 Warm metal accents blend the elegant appeal with functionality and enhance kitchen colors while softening neutral tones. 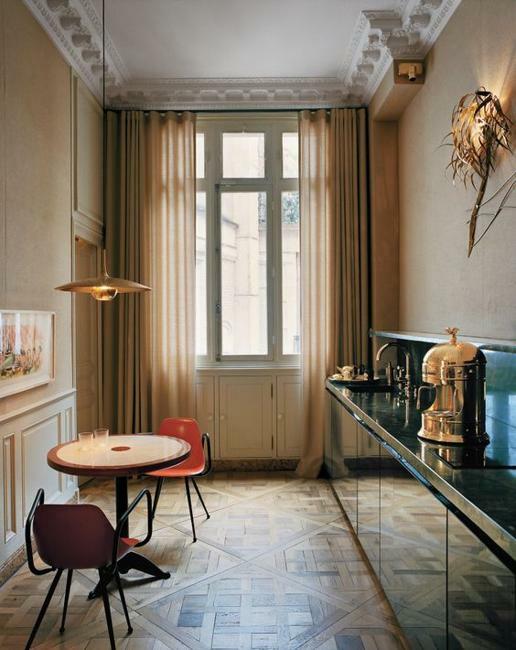 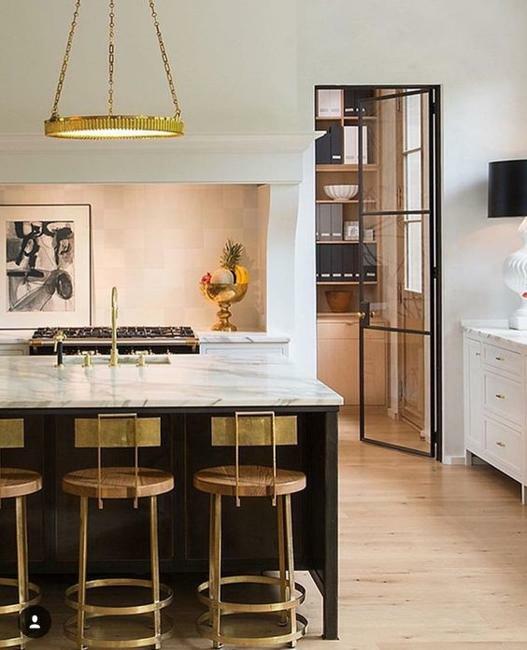 Metal accents in bronze or golden colors are versatile and beautiful. 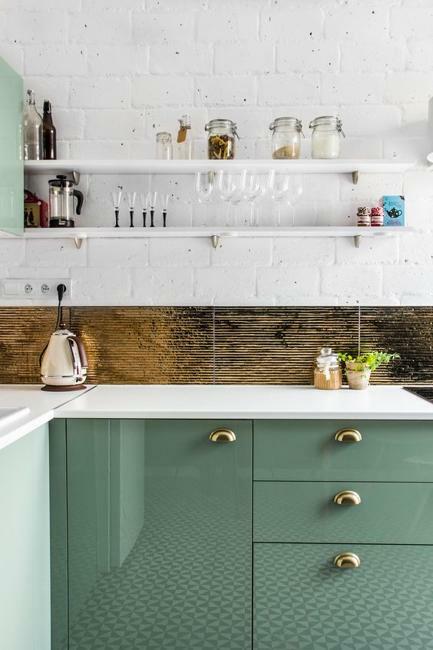 Metal accents are suitable for all kitchen design styles and work well with traditional and contemporary materials. 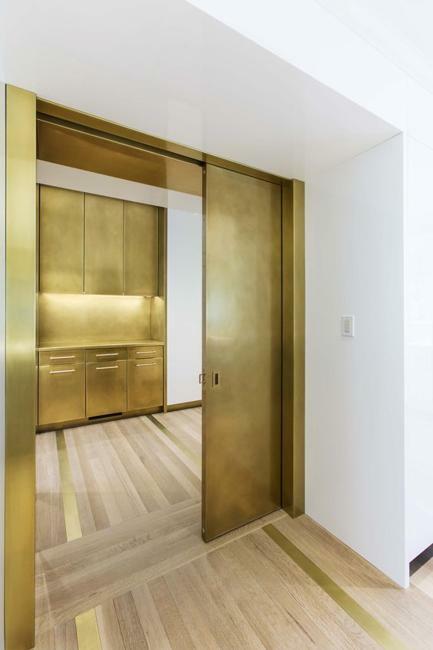 Warm metals communicate luxury and exclusiveness. 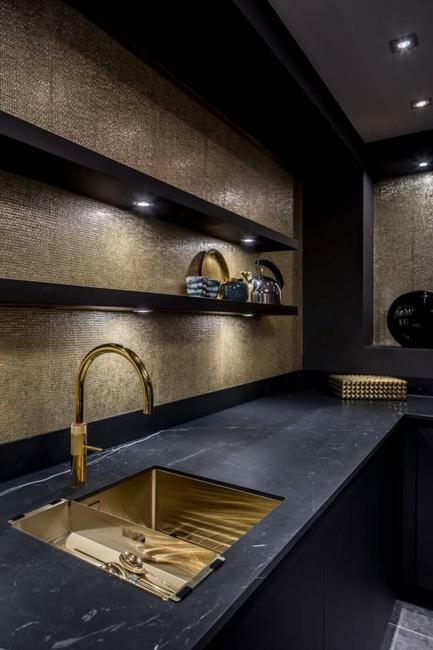 Bronze and golden finishes instantly give a luxurious look to any kitchen design. 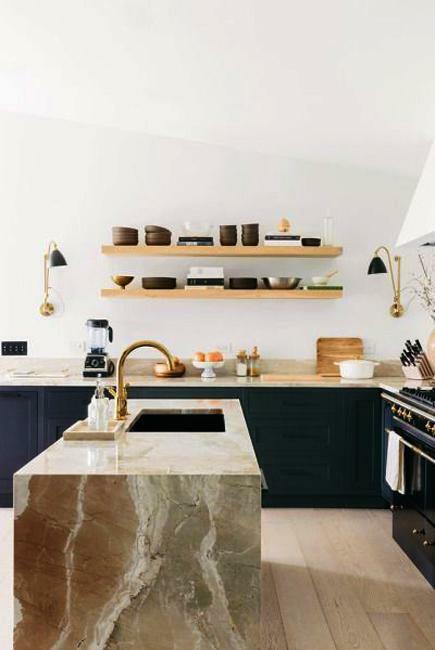 Depending on your budget, try to get the best quality of the items for your kitchen. 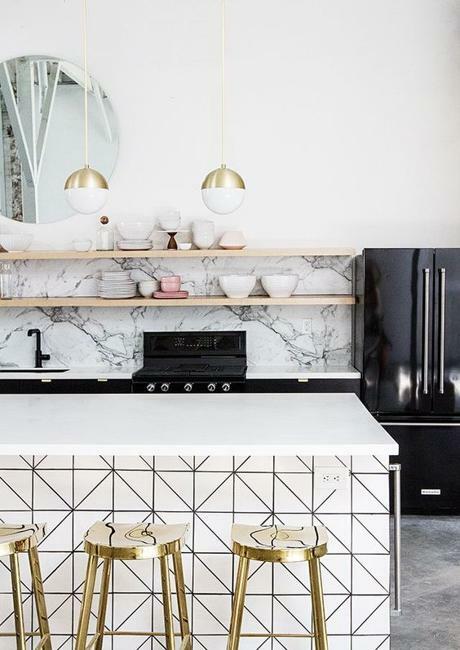 Metals are timelessly elegant and stay modern forever. 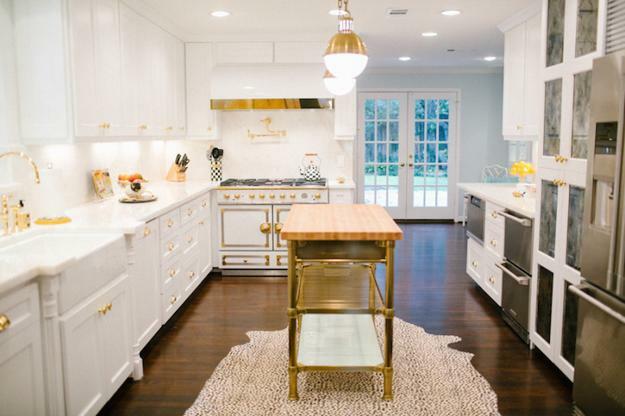 Your kitchen will show off a touch of art when you enhance the design with bronze and golden colors. 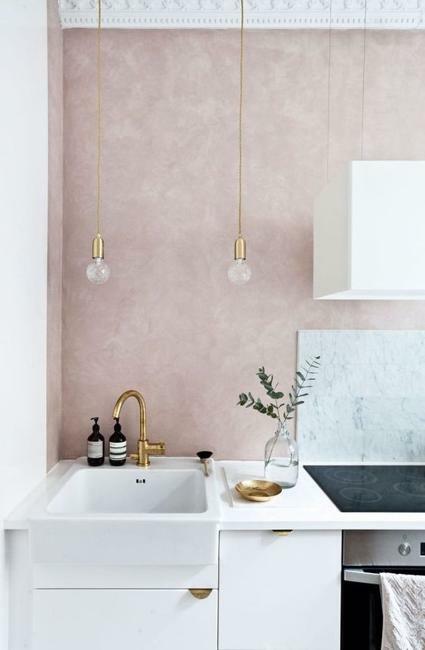 Metal inserts for your cabinet doors, drawer knobs, pull handles, kitchen lighting fixtures, faucets, and decorative bowls are cheap ideas to upscale your interior. 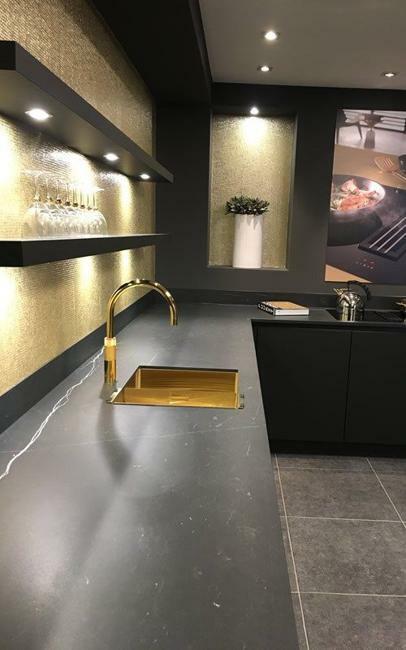 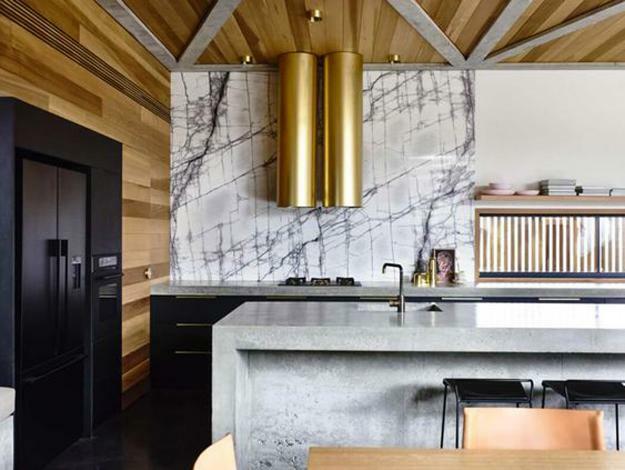 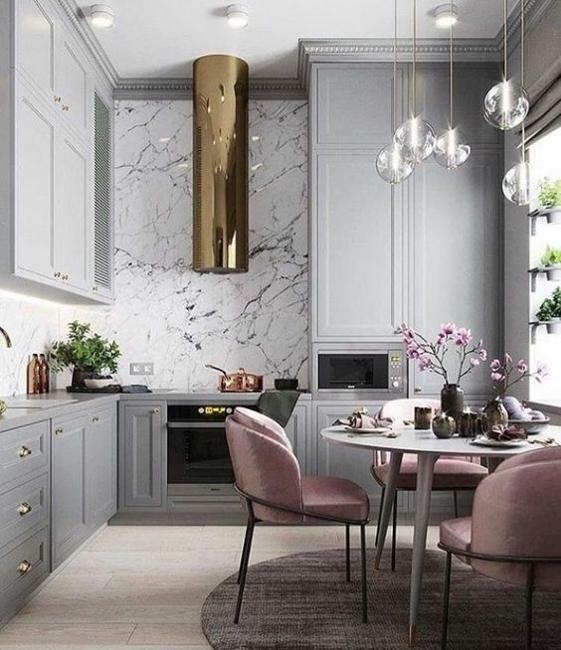 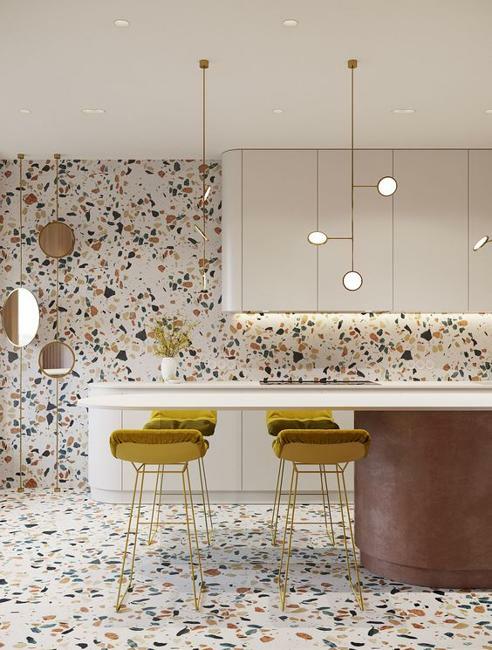 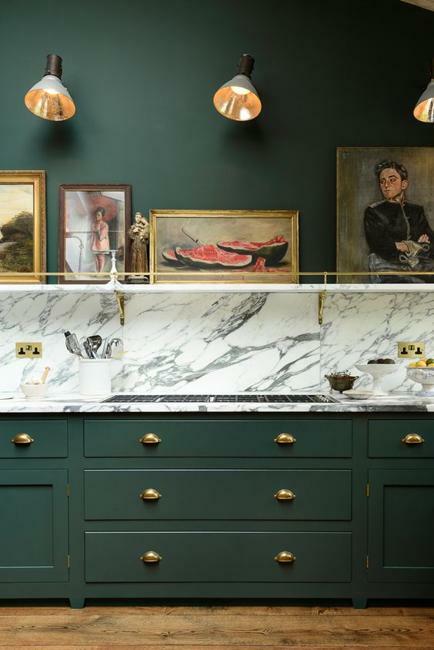 Metal tiles, kitchen islands and cabinets featuring bronze or golden panels are expensive but spectacular ideas to blend luxury into your kitchen design.